When you’re eating a Kinder Bueno, do you ever think ‘this is great but I wish it was in the shape of a bite-size ball’. 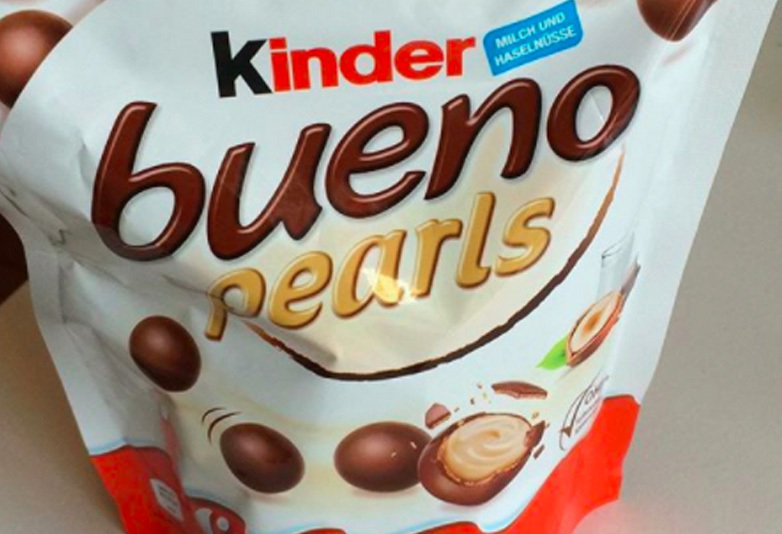 But because capitalism, the geniuses behind Kinder have bundled all the goodness of a normal Bueno into a small ball, or what they’re calling a ‘pearl’. The chocolate wafer balls are filled with the iconic Bueno praline we all know and love. Unfortunately, they’ve only rolled the pearls out in Germany, probably as a way of increasing demand worldwide before they release it. Or, like most great food creations, it’ll never arrive in the UK. For the indecisive among us, you can actually buy a multi-pack box of mixed Kinder Bueno minis. The mini mix of dark, milk, and white chocolate Buenos can actually be bought in the UK as well. Small mercies. Speaking of spherical chocolates, Maltesers have started selling entire buckets of their buttons. The 400g tub of the bite-sized treats are a feast you can share, or eat on your own (my weekend plan). In case the balls of Maltesers don’t fulfil the bite-size experience you were looking for, this fairly new flat, disc-shaped treat is a great new way to enjoy them. I fear this red bucket of buttons could rival Terry’s chocolate orange under the Christmas tree. Speaking of Terry and his oranges, something I’ve always admired, is how they haven’t messed around with it’s iconic shape, all too much. The bar was a practical idea which made sense for fans who didn’t have time to crack open a sphere of chocolate orange. There are no spreads, or buttons, or balls, just the good old classics. Anyway back to the topic at hand, people online seem to be huge fans of the Maltesers buttons and the Kinder Bueno balls. But it was unfortunately quite disappointing. Hi David, this product isn’t currently available in the UK and Ireland, but we are glad you love Kinder Bueno as much as we do! Dr David Old hasn’t replied to Ferrero’s statement, (at the time of writing), I think he’s probably taking some time out to process the heartbreak. Demand is increasing, and that only leaves one thing, for supply to follow. Das Kapital. A Kinder Bueno is a thing of beauty, why must the capitalist forces pervert perfection?